Sight to Kronstadt. 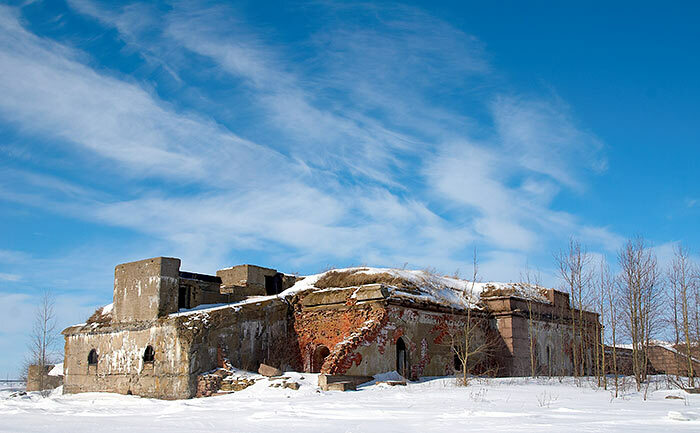 You can see from left to right Menjshikov battery, fort Kronslot, fort Pavel and lighthouse constructed in 1904. Harbour of Kronstadt and Kronstat's Marine Plant are seen on the background.